Our home planet and its moon appear as a mere dots - the Earth a pale blue and the Moon a stark white - in new color images taken from nearly 900 million miles away by the cameras on NASA's Cassini spacecraft. The images were taken on July 19, 2013 during an event that was observed and celebrated worldwide. The July 19 Earth-imaging event marked the first time Earthlings had advance notice that their portrait was being taken from interplanetary distances. It was the also the first time Cassini's highest resolution camera captured the Earth and its moon as two distinct objects. NASA invited the public to acknowledge the occasion by either finding Saturn in their part of the sky and waving, or simply smiling and celebrating. At least 20,000 people around the world participated. "We may not be able to see individual continents or people in this portrait of Earth, but this pale blue dot is a succinct summary of who we were on July 19," said Linda Spilker, Cassini project scientist, based at NASA's Jet Propulsion Laboratory. 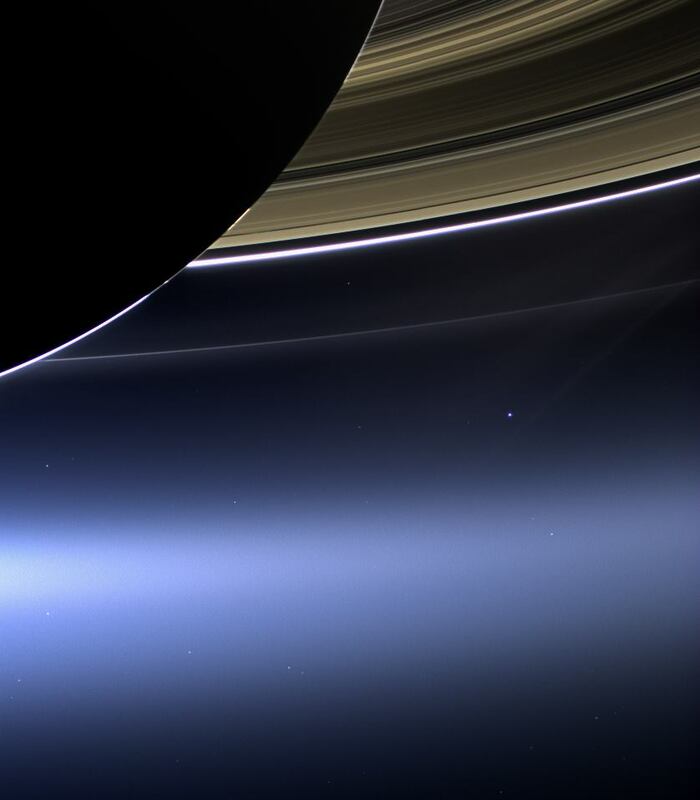 "Cassini's picture reminds us how tiny our home planet is in the vastness of space, but also testifies to the ingenuity of the citizens of this tiny planet to be able to send a robotic spacecraft so far away from home to take a picture of Earth and study a distant world like Saturn."